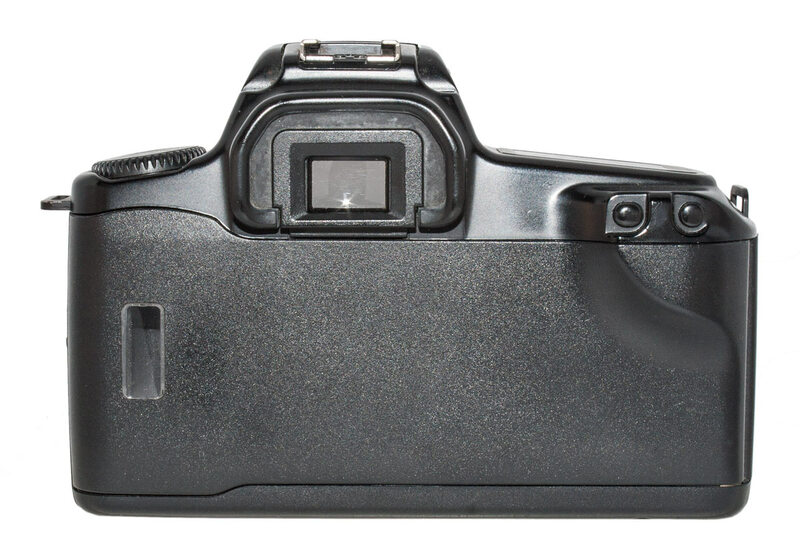 The Rebel II was the beginning of the evolution of the Rebel camera. It had no built in flash but did sport a hotshoe. 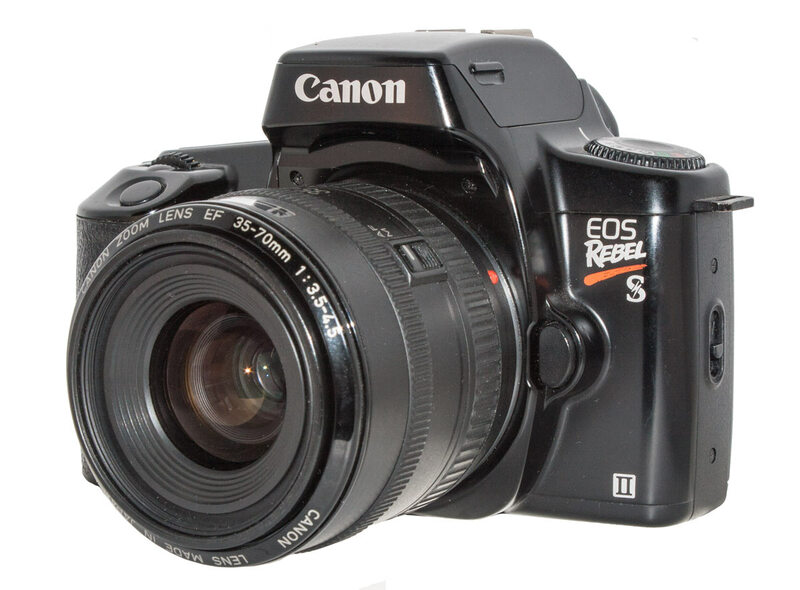 Just as with the Rebel and Rebel S, the flash version of the Rebel II is the EOS Rebel S II. 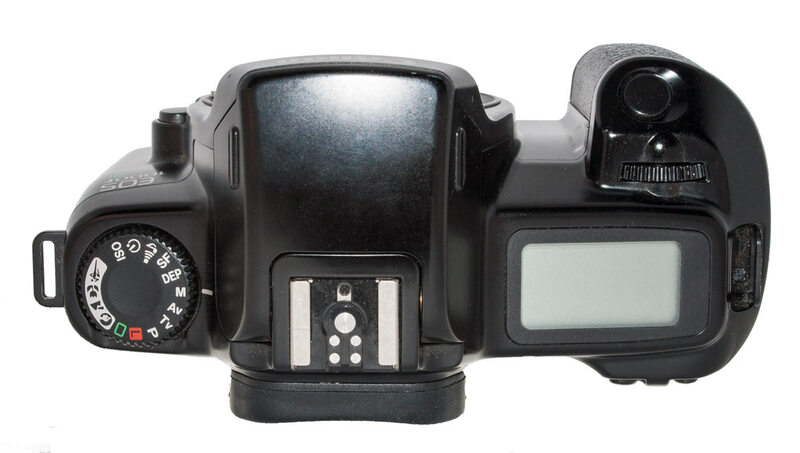 The top of the prism housing is higher and squared off and contains a built in flash unit. Unlike later built in flashes, this one does not pop up automatically. It is pulled up manually by the tabs on both sides of the housing. So the updated Rebel was the Rebel II and the Rebel S was the Rebel S II. 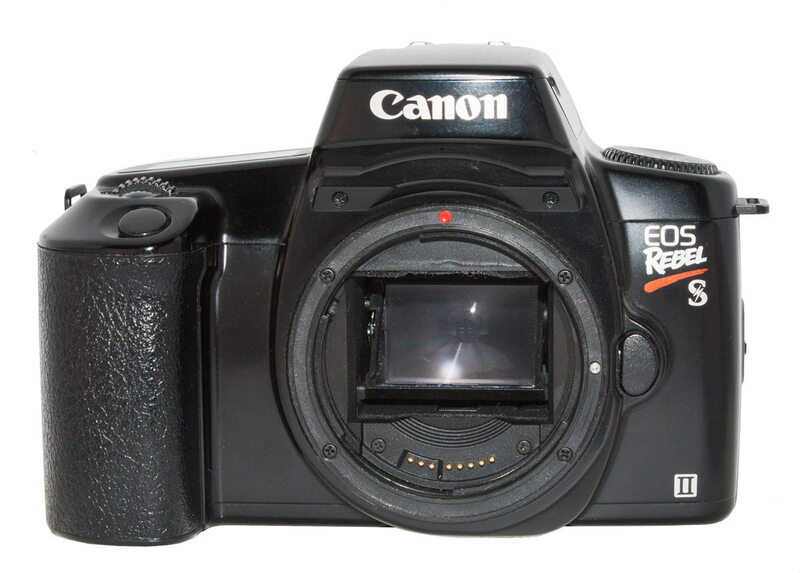 it was available with a Date Back so there is also a Rebel S II QD. 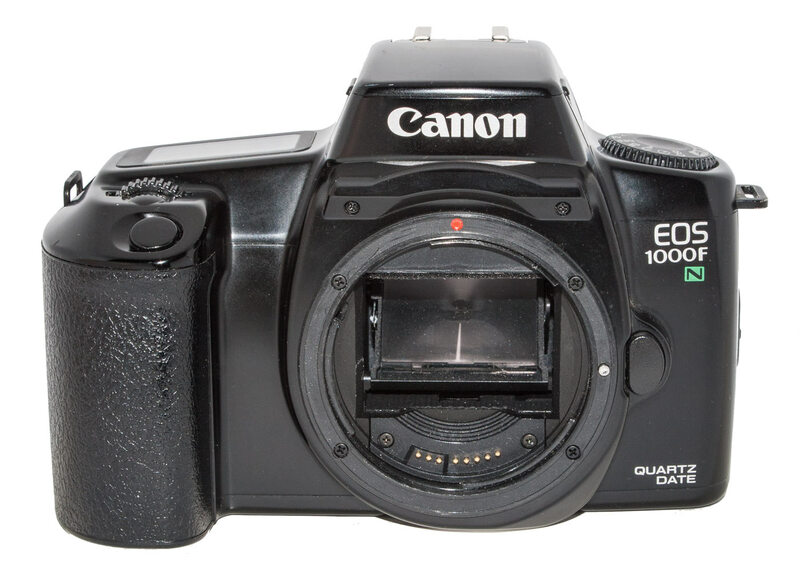 In Europe, these cameras were the 1000 N (“N” presumably for New), 1000 FN, and the 1000 FN QD. In the Japanese home market there was the 1000 S which was the Rebel S II, the 1000 S QD and the 1000 S QD-P.
Now, the Rebel II’s look, outwardly, like the original Rebel. If you open the Manuals side by side at the specifications page you will see little difference. The top shutter speed is up from 1/1000th to 1/2000th. And apparently the focus is faster by about 50%. I see references as well to a quieter film advance and rewind. Apparently the flash is stronger in the flash models. An unusual feature is a soft focus setting which I really have to try. This would normally be for portraits. The camera takes a picture but it then kicks the lens slightly out of focus and snaps a second image on top of the first: a double exposure. This is the “SF” setting on the Command Dial and apparently is supposed to give a softer image. 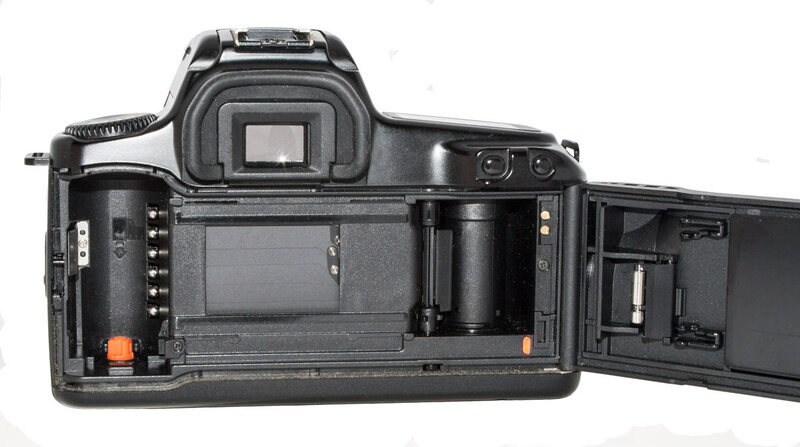 The camera usually came with a 35 – 80mm f/4-5.6 zoom lens. Notes: In excellent condition and fully functional. The Rebel S II in Europe was called the EOS 1000 FN. But it is the same camera. 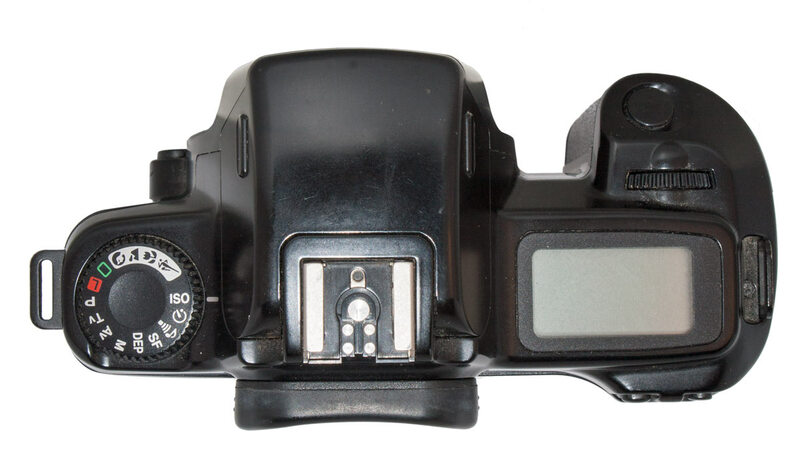 If you compare the pictures here and above you will find no difference except for the name on the front of the camera. 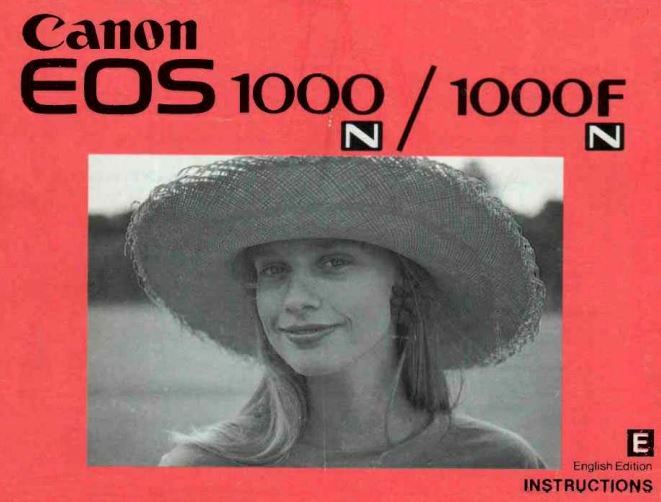 In Japan this model was called the EOS 1000 S (I assume the S is for Strobe). 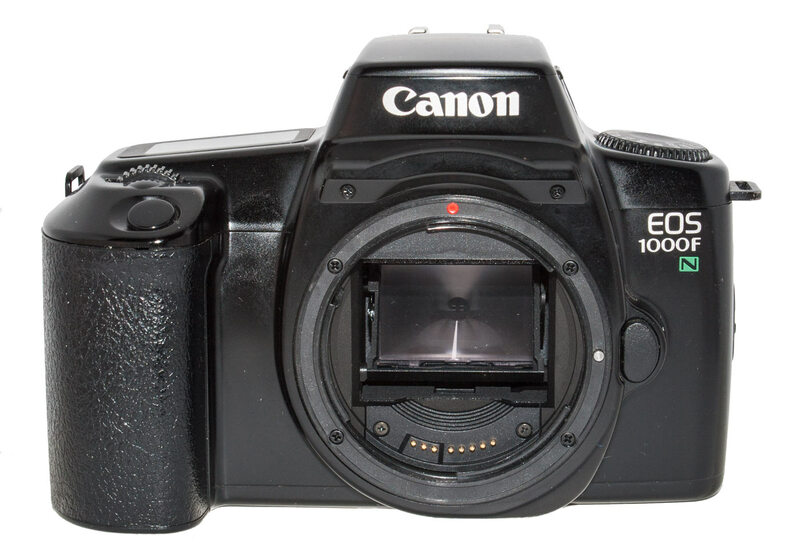 This is confusing because the updated Rebel is either the Rebel II or EOS 1000N. Then S is added to the Rebel or N to the EOS 1000 to signify the flash version. Here, the Japanese version is the 1000S which is the improved version with the built in flash. (There does not appear to be a non-flash version). Notes: In excellent condition and fully functional. 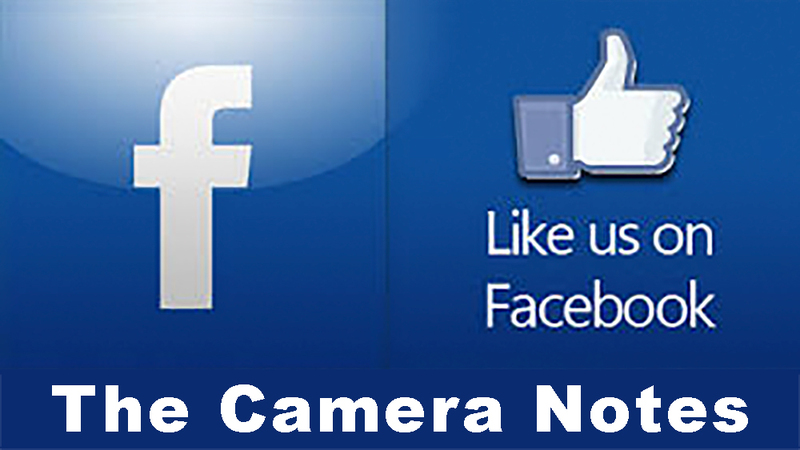 This a very capable camera and very enjoyable to use. 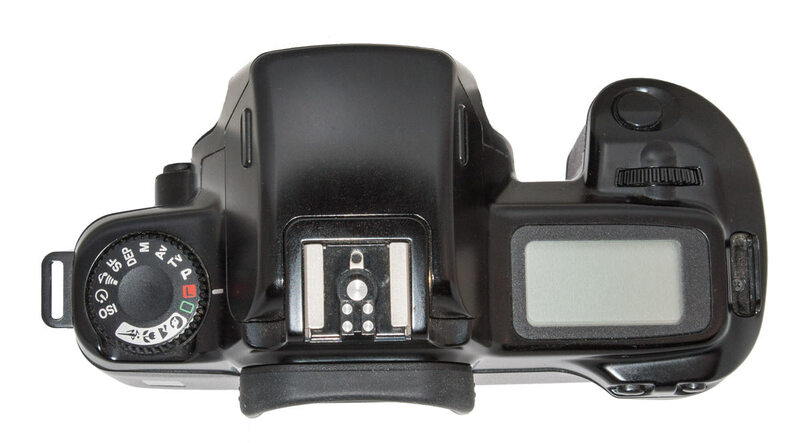 After my 5D Mk II this camera is so light you forget it is across your shoulder. 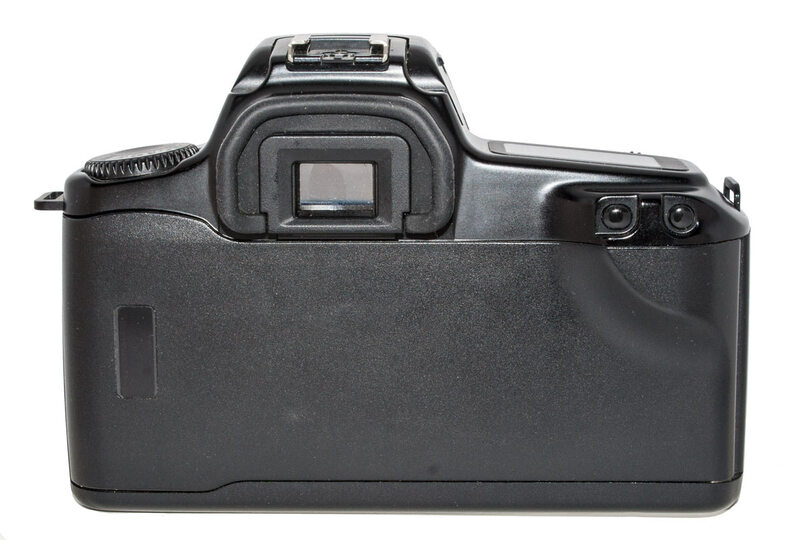 The EOS 1000FN QD is the same camera as the 1000FN with the addition of a Date Back that will imprint the date on the film. This ability is accomplished by the addition of a different back. 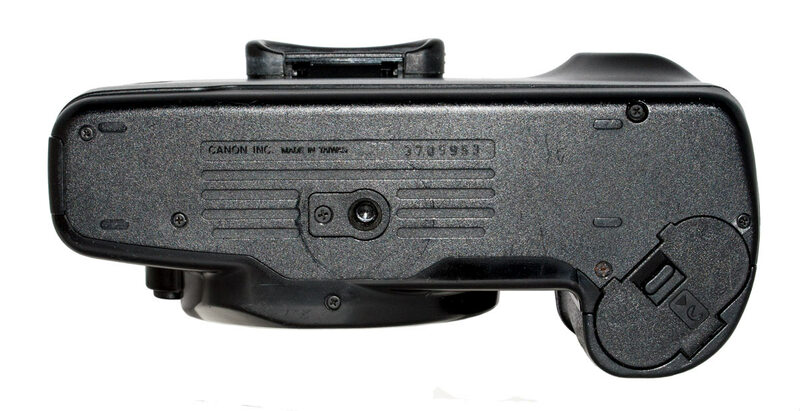 The only modification to the camera body is the addition of two trigger contacts that allow the body to communicate with the back. 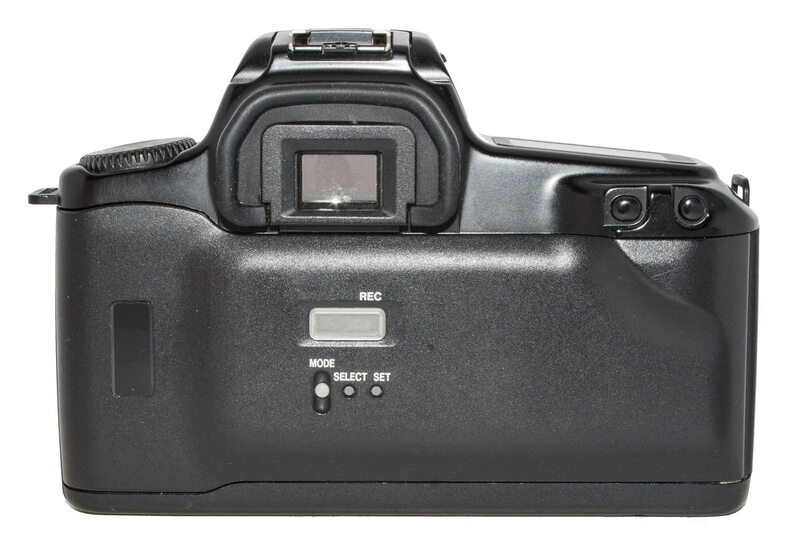 The camera body is powered by a 2CR5 battery and the back itself is powered by a CR2025 battery about the size of a dime located under an inside cover on the back itself. These batteries only last a few years and so these backs seldom work if they have the original battery. Notes: In excellent condition, almost “mint”, and fully functional.